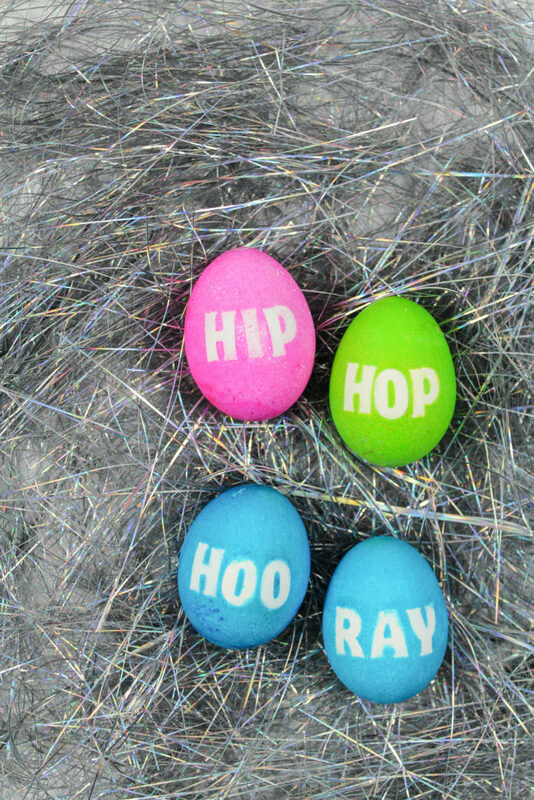 Some of my favorite lyrics to use, that fit in with an Easter theme, are “Hip Hop Hooray” from Naughty by Nature. And, of course, “Rapper’s Delight” by The Sugar Hill Gang. 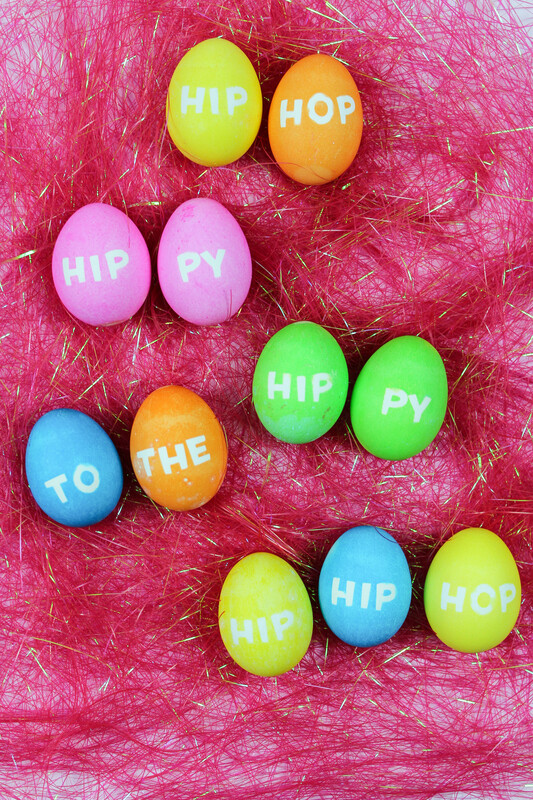 Mix your egg dying colors, following the instructions on the package. (You can also add 1 Tbsp. of vinegar to your color mix for more vibrant colors). Attach your alphabet stickers onto each of your eggs and press down firming, insuring all of the edges are secured well. 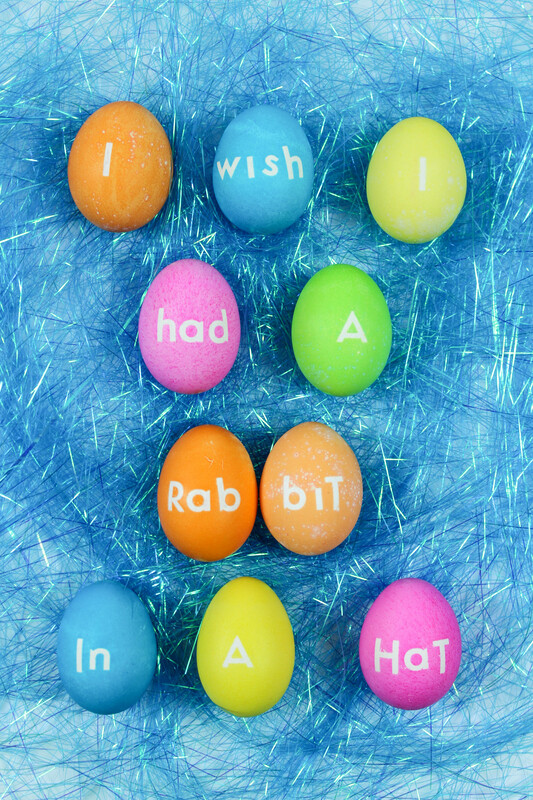 Some stickers will work better than others, but may be harder to remove after your eggs have been dipped. 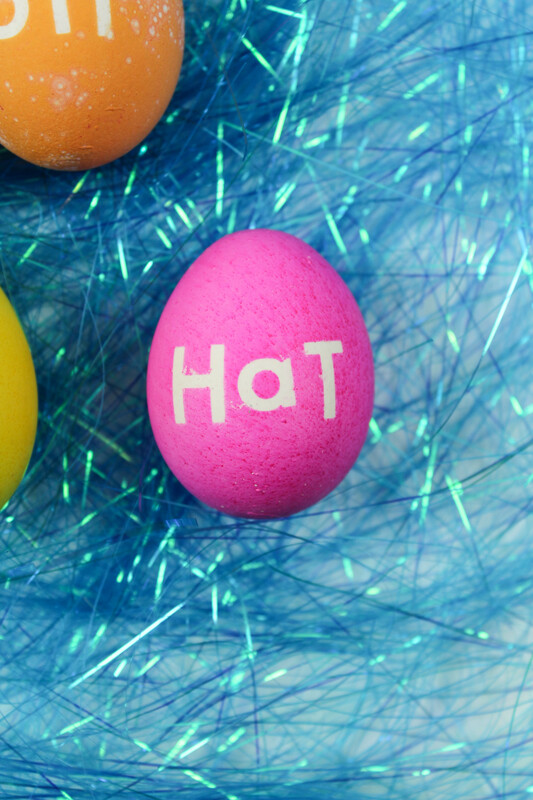 Paper stickers may fall off in the water after a shorter time, but are easy to remove once your eggs have achieved the color you want. 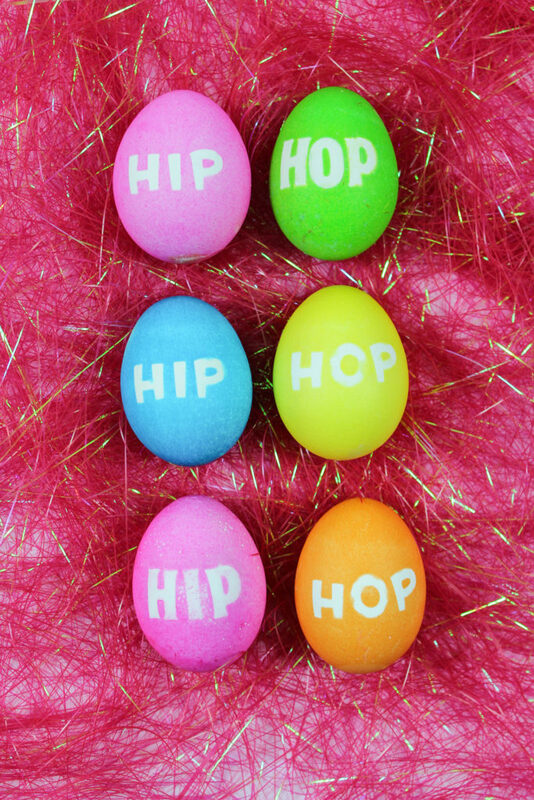 Vinyl stickers will stay on your eggs through the entire dying process, but are harder to remove once done. After your eggs have reached the color you want, remove them from the dye and allow to dry slightly before removing the stickers. If you need to, use tweezers to help pry them off without ruining your eggs. Some stickers may also leave some sticky reside after being removed, so make sure to pull that off too! 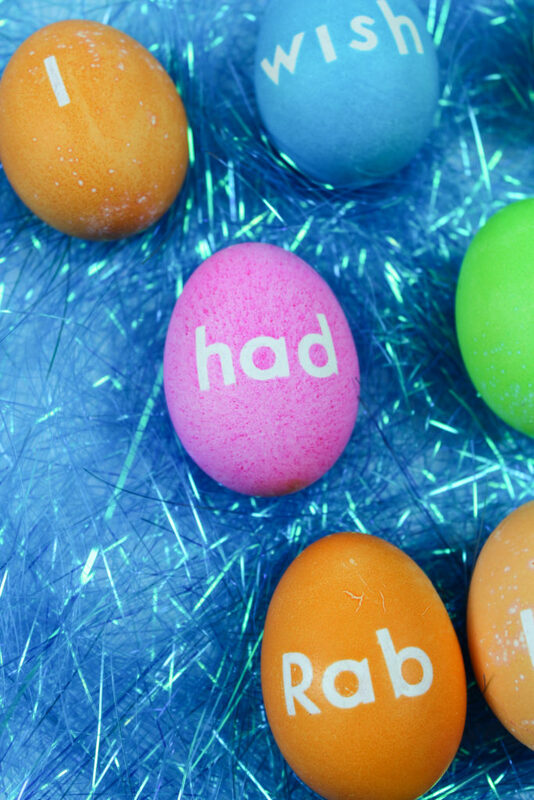 As you can see, some of the stickers do allow a bit of color to bleed a little, so if you want cleaner lines, use sharpies to draw letters onto your dyed eggs instead. 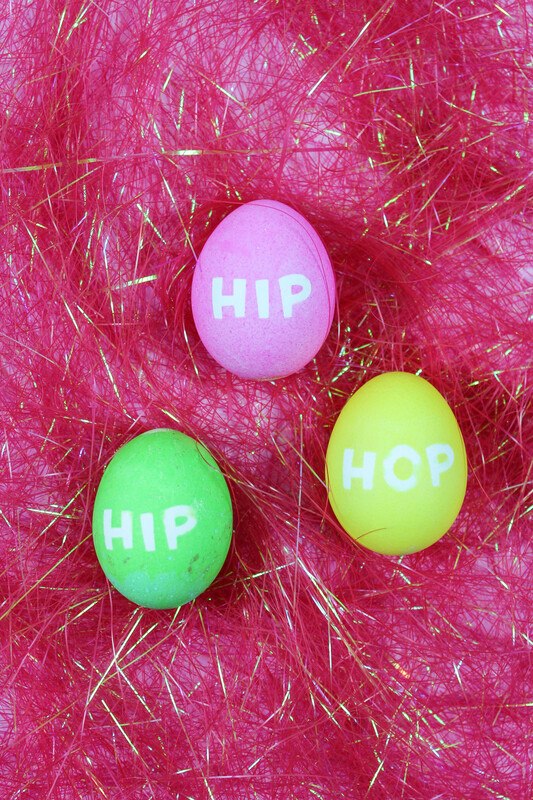 Overall, the process is really simple and who can resist old school hip hop Easter eggs?! I know I couldn’t. What old school hip hop lyrics would you use?